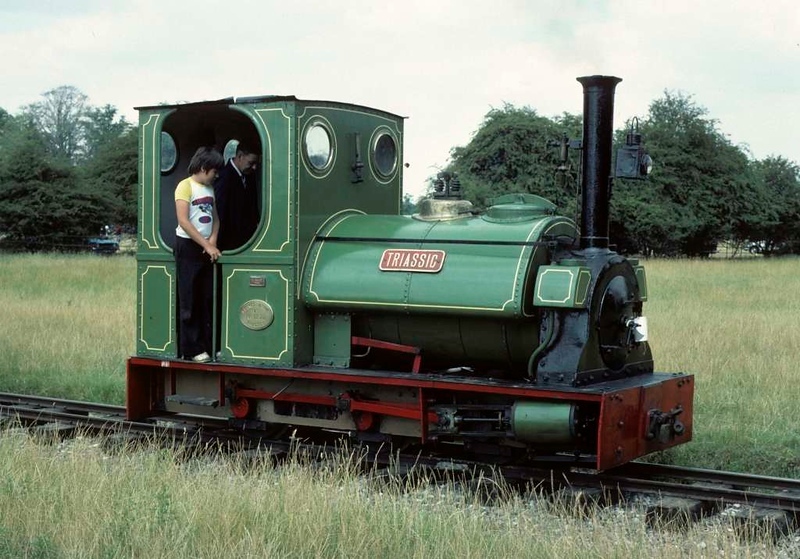 Triassic, Knebworth Park & Wintergreen Railway, 25 July 1976. Peckett 0-6-0ST 1270 / 1911, from the Rugby Portland Cement Company, Southam, Warwickshire. It subsequently moved to the Bala Lake Railway where it remains in 2018. Photo by Les Tindall.